It never seizes to amaze me how the mod is downloaded thousands of times but so few comment. Thousands playing but very few can give me a moment to talk about the game or history or whatever. The only increase I see is from spammers who see the traffic spikes here with thousands of viewers. My spam filter catches most of them but a few still squeak through. Oh well. Its as I’ve said before, unless there is more participation here, I am not renewing this site when payment comes due. Oh well. No one can say I didn’t try. OK Mates and Matetts, I finally got the darn thing uploaded after numerous attempts. Please read the updated “Read Me” file before you play. There are some character spoilers and gameplay is now completely different now that each character has a specific assigned ship and different starting equipment. If you want nothing and no “leg up” then pick some characters that don’t have anything like Halsey or Scallywag. There are others too. There is a test game already in progress if you want to play a character already at level 10 or 11. Its Henry Jennings. He started a pirate and purchased an English letter of marque. He has some excellent recruited companions and some great ships. Make certain that you copy the decryption key info so that you can provide it when prompted. I will hang a couple new YouTube vids tomorrow that illustrate gameplay tomorrow. I am narrating in these – first time for that and I think you will enjoy them. I will post the vid links here when they are up. This mod is Beta but I really think it is cleaner and the quests will work better than before. The treasure quests with the convoys at sea now work again. There is the old hang up with a black screen when you go to the beach. Make sure to quickly press F2 to bring up your character interface when you see the black screen come on. Then close it and the transition to the beach will happen with no crash. Sometimes you have to go into the woods and come back out to the beach to enter your boat. Also if it crashes when you go to sea (if you have a lot of ships) just reload a few times until it goes through. I did not create this bug – just telling you how to get through it now that these quests work again. Also please close all other PC applications. I used to run several things simultaneous (like Photoshop) and still had good game performance. Can’t do this anymore because with all of the additional characters and items it is more memory intensive than before. Make sure ERAs2 is on the desktop and the only primary program running when playing. If you don’t your options may not work for a bit and some interface changeovers might be slow. Options are now preset to what I think best for gameplay. I did leave the health-bar (Show information about ships) box checked even though I hate it and uncheck it myself because it ruins immersion. Enjoy the mod folks and please provide me with feedback. Fair Weather Mates!!! Mod is finished. Will zip and upload tomorrow. Sorry about the delays but a couple of nasty bugs cropped up from my code changes regarding numbers of people. It was too much for the game to handle and suddenly towns were nearly abandoned. However, I made it all work. It’s all sorted out and you will simply love all the new people walking about everywhere and in all locations (taverns, etc). I have spent two days playing and testing and it appears as if everything works perfectly. Still remember this version 2.1.5.7 is a BETA and needs lots of players to test it and provide feedback. Look for a link in the next couple days. NEW MOD RELEASE DELAYED: Good news and bad news. GOOD NEWS! I just had a HUGE breakthrough. I have finally figured out how to implement surrender with the enemy striking colors and showing a white flag during battle. This was quite by accident and part of some earlier work I did that I just thought didn’t work. With the new flag code I jinned up which now causes you to be able to change your flag mid battle or wherever – and the enemy ship to then change to your flag after captured DURING the same battle, this old code I wrote now works! Suddenly during testing I had caused a French patrol ship to surrender to me. When she struck her flag, suddenly the French flag changed to Dutch. I was like WHAT???? Now all I have to do is make a new renamed flagall TGA texture that is all white and assign it in the correct places in the code. Tremendously exciting because this is something I have wanted for SO LONG! However its going to delay the release for several more days while I do this and fully test it. Sorry. That’s the bad news. Also 7 new swords over and above the ones I had already put in! YEAY! Well now I know its been over six months since I’ve posted here. There are many reasons for this. The largest two are that I have a life and am very busy – and that I don’t get much positive feed back from you my readers and mod players. If I got more I certainly would be inspired to do more. A lot has happened. The mod just continues to grow and its latest release is days away. The only reason I haven’t put it back up is that a bug resurfaced that I thought I had fixed….very frustrating. The character issues are all but resolved. You will never again get stuck in an area with invisible enemies unable to leave and being forced to restart from your last save. The gold fleet quests work perfectly again. Flags now appear during combat when you choose to change them. The only quest giving me problems is the little pirate quests to go get a convoy that has stopped for supplies. I had it working and now something is not right. In addition, I have added so many new NPCs – pirates, officers, citizens, whores, etc, it was more than the game could handle and I had to modify the source code to take on these changes. The only problem is that sometimes an absent character will be generated. You will see a trader stall empty. This needs a lot of testing before I decide to take it to the next step. There are now 123 playable characters in the mod. More weapons and items than ever before (hundreds). In addition each character gets his/her own appropriate equipment when starting. If they are a historical character they will receive the ship they had at a certain point in their life – that is named its correct historical name. (this took a lot of painstaking and loving research and is just cool!) This adds incredible immersion and will now allow players who were always frustrated with how difficult it is to get started in COAS – so many new and additional options. If you are a naval officer you will already have a letter of marque for that nation when you start. You must equip it if you want to work for the nation’s governors. Some of these characters are now over powered at the beginning although I think some will still enjoy that because the game offers so many challenges anyway. There are still plenty of RPCs remaining with meager equipment, money and ship – so just look around and acquaint yourself with the new characters and what they have. Lots of new ships and reworked ships as well. New locations textures and items make it feel like a new game again. The new sounds are simply AWESOME. What I am still working on is the islands and locations. This build does not have them because I am still having some locator issues. I will solve it, its just taking more time. I did not finish the cargo mod, the cannon mod, or the additional fighters mod. They are all works in progress and I do believe I will get them completely sorted out and implemented very soon. I will cover all of this in more detail in the “what I am working on” thread. In addition I will be posting my first video shortly that is narrated by me with my voice – explaining and demonstrating all of the new capabilities. Sorry it’s taken so long folks, but with my busy life, and the level of interest here I decided from now on I will only update when I have something new to tell you – or perhaps once every 3 to 6 months – whichever is best to show development. New vids and pics right around the corner. WOW! What a week. Both good and bad to report and an incredible amount of news. So the bad first. I have been hampered in my efforts to fix some things on the site and to get media that I want up and published. I think we about have the site problems hammered out, however there is no consistence and we can’t fully figure it out. Some people can gain auto membership and post and some cannot. I think it may be some minor conflicts with a few of the plugins and I will just have to keep experimenting. I thank our readers for the private e-mails that made me aware of the issues. I still consider this a brand new website and we are still in heavy duty development. I have a lot of incredible new video to share but unfortunately Google has locked me out of my YouTube channel. Due to a phone number change I cannot receive texts to reset the password or get access. They have a terrible system in place for retrieval that requires you to provide the exact date of your last successful login and the month and year you opened the account. What’s not clear is if that is the Google account or the YouTube account. How many people are going to remember that anyway? IMHO they ruined YouTube when they tethered the two together. I tried to find a help line and the reviews are terrible – with most people never getting through. So now to the good news: I am opening up a VIMEO pro account that will have the websites name on it rather than my own handle. If you haven’t looked at VIMEO you should check them out. I am impressed with the content there now. A few years ago, it seemed small….not anymore. I had to make a reassessment when I found those videos on VIMEO of the new movie Michiel de Ruyter/Admiral, that I posted on Features of the Day. Tons of sailing and historical videos as well. As long as I’m not using a Mac based video product (which limits uploads to 500meg) my VIMEO pro account will allow me to upload videos up to 3.5GB according to what I’ve been able to dig up so far. So expect to see this account and these new awesome videos soon. I have added a lot of new music and some of it is just epic in these battles. We have had an EXPLOSION of membership this last week. We have doubled in size! We are at 145 registered members now. That’s more than I thought I would see in a year. Its more than some other similar websites have had online in several years and we have surpassed them in members in less that two months time! In addition, to measure that in terms of the last 45 days, our numbers outperform some of the big sites out there in numbers of sign-ups which they’ve had during the same time-frame. The mod has now been downloaded over 900 times. I can’t explain this either because it looked like there was just a trickle for a week there with only 3 or 4 downloads a day and then suddenly BOOM, one day there would be a spike of 10-15 downloads in a day. One day we had over 30 downloads alone. I don’t get it. Visits are now at over 8000. This is starting to scare me a little now because I never expected that kind of growth. BREAKING NEWS: In the news this week, I have had correspondence with Joruba from Blackmark Studios. He has been the guy at the tip of the spear on the effort to translate Pirates Odyssey: To Each His Own (POTEHO) into English. WOW! They are still going to go through with the release! He has accepted me as a tester for the English version and I can’t reveal a bunch of details yet. I informed him that we here at Buccaneer’s Reef will promote and feature PO:TEHO to the maximum extent possible. This is very good and exciting news for us. Especially those of us that still love the Akella games and wish to continue with modding the newer and better STORM 2.8 engine derivatives of these awesome games that our ERAS2 mod is part of. So the questions recently about transitioning ERAS over to POTEHO on our forums here could actually possibly happen. One thing on this though. I will not do this alone. In other news Caribbean! was finally released in a finished state. This really surprised me. The new Beta content that was released in December/January was not even fully mature yet. I had downloaded it and was fully meaning to play it and post a review of the improved content. I was actually going to make some time for that this week and was rather looking forward to it…..and then BAM! game is released. From what I’ve been able to gather they want modders to take it to the next level. So I am certain they will have their own mod site and that Nexus and the Taleworlds and M&B forums will feature Caribbean! mods/modding. However, this pressures me to get the forums done even faster because I want to make my own Caribbean! mods. I modded the heck out of M&B and am quite familiar with how these games are put together. I want to feature some of our own Caribbean! mods right here at the Reef and I already have some good ideas. This is exciting and once I’ve played a little later this week I will update my review of the game in our REVIEWS section with all my current observations. Make certain to look at the features of the day once I’ve got all the new stuff posted later today because there is an almost unknown movie/documentary I am focusing on that should be of great interest to our population here. It’s called Tobago 1677. I just love that some of you are reaching out and contacting me. There are some good questions and feedback. I just wish you would post them in the our current forum. With regards to comments below articles, I think I will have that done this week. The forums still are not ready. My time is being pulled in multiple directions. All I can say is SOON. A young lady contacted me about the Heyn story. I am so touched by the compliments. I was thinking about taking it down thinking no one was reading it. However, even if I am posting for this one person, I will continue. I am reediting the next chapter because I added to that chapter. With Rene Decartes in the story at this point and both him and Heyn trying to get home, I wanted to do more. It may become a whole new chapter altogether. So look for that in the next few days. The characters are slow going. Sometimes I get on a different track and I can’t stop until I succeed. Its just how I am wired. I spent almost two days just finishing the promotion mod. There was one file preventing the info from showing on your character interface, and I refused to give up until I found the file. Persistence payed off. The mod works perfectly now. In fact I am thinking about posting it here as my first mini-mod because it will work in your current ERA2 game without starting a new game and you will see your new rank based on what faction you are. The Governors will call you by that rank when you show up to talk to them as well. I also want to address a complaint I’ve had a few times about the economy being too generous and treasures being worth too much. I said I would work on this a little. However in my current game I have sunk millions into major ship upgrades. I also command a fleet of seven large man o war. It would be eight but I like to take the odd prize here and there if she might be something I want. With that kind of manning I need to be able to keep up that income and I do not want to hamper players that like command fleets or squadrons such as myself. Take a look at the following screenshot and you will understand why I wish to keep the treasures and economy somewhat generous. This pay is that high even with excellent leadership, authority and commerce numbers/skills and a Bosun with the same. I did have a breakthrough with ERAS Mod3 this week. Decided to play a little. I figured out how to add a new nation and to modify the existing neutral and pirate/Gentlemen of Luck factions loyalties. That was my major hurtle to making an American nation out of the pirates. You see the pirates are at war with everyone. I didn’t want America at war with everyone in ERAS3. The start date is 1777 and I wanted them to be allies with everyone except the Brits. By making the Gentlemen of Luck faction British Privateers, I can leave them at war with everyone. 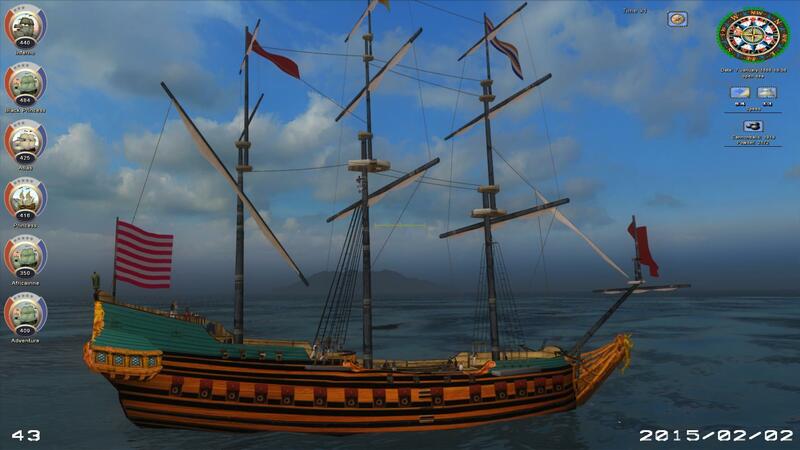 They will essentially be the new pirate faction but will fly British flags and not attack British shipping. This is a major breakthrough because I can now continue with development of MOD3 in a meaningful way. NEW ISLANDS: As you saw in the screenshot I posted in the Forums on “What I’m Working On”. I have been able to get the new islands in the game. However, on shore I am still having crashing issues. I have so many things I am working on that I am moving islands near to the bottom of the priority list at this time. If I can finish all the other stuff for the patch and then get the islands stable, they will be in the patch. However, as things stand now I do not see the new islands making it into the new patch. Sorry. I will get them working though…..just a matter of time. No more news on the movie Michiel de Ruyter (Admiral) yet, but I have found some additional footage that I will post. I know I promised new content last week and didn’t deliver much but that’s because of my site challenges. There will indeed be a bunch of stuff going up today. Its just a little slow going. Look for a couple new articles as well and a bunch of new screenshots in the forum topics. First let me apologize from the bottom of my heart to all of you who have been trying to sign on and get memberships for the last couple of weeks and have not been able to. I wonder how many just gave up. Thank goodness a few of you contacted me by e-mail and on other sites to tell me what was going on because I didn’t have a clue. This whole web administrator business is very new to me and I am still learning the ropes. So a few announcements. I am behind posting a bunch of new items that are almost ready to go. I have been really busy with family. A ton of new stuff going up tomorrow that will be published by Sunday afternoon. I am posting a little video patch that will be prominently displayed so no one will miss it. I have had complaints about the “fish-eye” view problem since last year but hadn’t thought about people having old monitors. Someone e-mailed me personally about it and I responded. I’m sorry I hadn’t thought about older monitors. As I announced earlier, there will be an upcoming mod that will have improved/tweaked settings for numerous differing resolutions. To get the BEST possible results that give you awesome zoom out capability and very little distortion, you should set your screen resolution to 1776×1000 at the present time. Even if you have a screen capable of better resolution set it down for the game because I tailored that view for that resolution. So the fix I will be posting in the next few hours is one that will set it back to vanilla values for folks that have old monitors not capable of that resolution. It will have clear instructions on how to implement it. I myself feel claustrophobic using that setting because you can’t zoom out to see the action. You are restricted in your view of the game and your ship. Much too close in my opinion which is why I changed it. However, I played it on lower resolution tonight so I could feel your pain. YIKES!!!! looks terrible. I’m so sorry I didn’t pay more attention to this. Craig had a great idea and I want some feedback from our little community on it. He asked why we didn’t have water aboard ship as an item like rum and if it could be made a required good to have on the ship like food. I’ve had a look at the code and its morale boosting effects for rum. My thoughts are to make three different cargo items available. Rum, Grog, and Water. Rum will be more expensive than it is now and less available. Grog will be less expensive but more available. Fresh Water will be the cheapest but be VERY available. Fresh water will be enough to keep crew healthy but will have the lowest morale modifier. Grog a little better and I will make Rum even better than it is now because its more expensive and less available. One will notice that the higher the difficulty level (I’m playing on Commodore at the moment) the less of these essential goods are available in the stores which makes gameplay much more challenging. Fresh Water will always be available. So you can have all three or just one, etc. It will cause a new dynamic in balancing cargo. However at least when you can’t find Rum there will be alternatives. So my question will be (and I will post a new topic on the forums tomorrow). Is this too much or does everyone like the idea? Is it fine how it is now and we shouldn’t mess with “good enough”? I sent an e-mail to the guy in charge of distribution (at Arclight Films) of the new film “Admiral” (Michiel De Ruyter in Europe). I actually got an answer back. He said they had just got the film in the States and that he didn’t have the schedule for release yet. I let him know that there is already a dedicated fan base and we will get the word out when he gets the information. I can’t believe he actually returned my e-mail. That’s AWESOME! Word of warning….I discovered some scam sites that claim to stream the new movie to you. They ask for your credit card and claim its free. It looked really legit and convincing. Stream Admiral DON’T DO IT! I was about to do it and then thought….”I better research this a little.” Glad I did. Turns out its one of those scams that sign you up for a monthly payment that you have a difficult time getting off of your card. Someone that did do it said the stream was very poor quality and hung up. Anyway, I’m dying to see the movie, but not bad enough to get scammed. Another thing I was thinking is that I would also like to invite anyone out there that wants to publish something germane to our interests here to feel free to do so. Please let me know. I will give you access to the site. Stories, articles, whatever. We are now getting over 200 visits a day and are way over 6000 visits for the last 40 days. That’s pretty darn good for this little site, so there is a little exposure happening here. I love that we are getting interest! I thought I already had someone that was going to write here alongside me, but he hasn’t showed up yet. You can lead a horse to water…. Once I get the forums launched I will need some moderators as well. I think Dennis would be a good candidate. One last thing. The little stunt below had a little pay off to it because one of my backer friends did indeed respond and wants to bring some additional people into the discussion. Maybe my game will happen after all. Cheers all and I hope you enjoy your valentines. Don’t get sick on chocolate or break any teeth on those little heart shaped hard candies. I know I’ve been gone a lot this week but it couldn’t be helped. I’ve been driving the whole last week and just got to my destination a few days ago. Man is the U.S. ever big. I’ve made this drive dozens of times but it just seems to get more difficult as I get older. I drove diagonally across Texas south-east to north-west into New Mexico at the top of the panhandle. Then on thru Colorado and across Wyoming to Idaho. Took me three days because I’m just not up to driving like I used to be when I was a young man. Craig and I have corresponded a bunch(great phone conversation as well). Hammer has also given me a lot to think about. Since both of these guys have given me a long list of things they want to work on and that they want to add to our list privately, I will be adding to the “what I am working on” thread quite a lot this week. Some REALLY GREAT ideas and since Hammer is an MIT alum and brilliant PC guy I expect him to pull some of these things off rather than myself. I have had a lot of time to think and I want to take this opportunity to put in a plug. While ERAS is awesome I want to talk for a moment about the game I was starting development on and lost backing. Since I know my backers check up on me and a couple are good friends, this seems a good place for this commentary. I know we were hoping for some other folks to come on board. I think with the current future outlook we can expect this to happen. The reasons several of you chose not to commit to my endeavor at the present time is because of all the competition. Lets examine this competition eight months later now that things are settling onto more pronounced tracks. 1) Some of the games that looked like they were going to come out have not. In fact they’ve disappeared. I do not expect them to reappear. In addition, flash/mobile platform games are a completely different market than the PC/Console crowd we will be going after as our target audience. 2) The PA! Indy game Hoo, that indeed looks very promising and I know partially influenced the decisions made, will not only NOT be ready for any kind of serious game-play for years (as they are an all volunteer group), but also they are not even building their game in the pirate era. Its a completely different time-frame set much later in the 18th century and so should not even be considered competition to my own proposal. In addition, we will not be competing with this title in the market place as it will be free, like our mods here. 3) Raven’s Cry just came out and has been absolutely crucified by the critics. Not only do critics hate all of the bugs and clunky swordplay, but the developers are being ridiculed for their complete lack of historical research and authenticity. This really should not scare anyone. In fact this should only lend confidence to my own endeavors. Our game will not only be thoroughly researched in every possible way (you guys know me remember? ), but it will also be thoroughly tested and polished in every way. It will not be full of bugs and incomplete voice-overs. In addition, Raven’s Cry is really an homage to the typical “Long John Silver” type pirate of fiction. It is a pirate fantasy and not even in the same genre as we will be working within. It is more akin to Disney’s Pirates of the Caribbean. It will be forgotten in a year. 4) OUR game will be more a fusion of Caribbean! 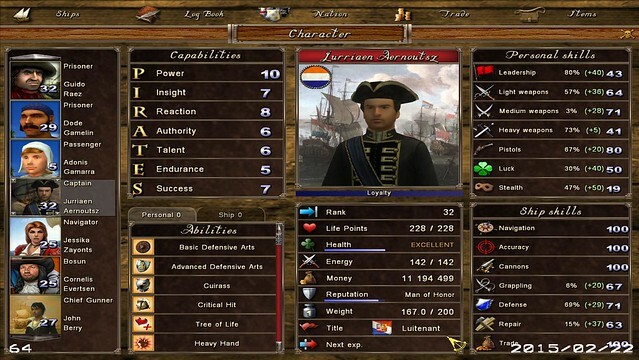 (Mount & Blade), the Age of Pirates games and the Total War franchise of games – with the detail and capability of Naval Action (from Game-Labs) thrown in for good measure. So lets talk about these games as competition. 5) Yes there are rumors of a new Total War coming out with even better sea combat, but I doubt it will be much better than what we saw in ROME II and those games will always be more focused on land warfare than on realistic ship handling aspects and the tactics of naval warfare. 6) Caribbean! is awesome. However, it’s working with the dated M&B construct and is much more centered around small unit combat than serious naval warfare. Just look at the video I put together on my YouTube channel for my review of this game. MK’s YouTube Channel Reviews It is not a serious contender in the naval warfare department and is limited to control of five ships only. We will imitate and surpass the best parts of this game – namely crew and individual melee, swordplay and boarding fights. 7) Naval Action: I have been hanging out at their site a little the last couple weeks and even made a few posts. Two things have become VERY clear to me from the info I’ve gathered. a) They have no intention of doing swordplay. They have admitted that they are not good at this aspect of modeling or development. So they aren’t going to do it. This game will be a ship to ship and fleet action simulation only. b) After making numerous comments and several contributing posts, AND reading many threads…. its very clear that their developers intend to set this game almost exclusively in the Napoleonic Era. We are not even on the same planet as far as our offerings are concerned when considering the aforementioned. I do however plan to tap into the same target audience that they are. Remember my proposal and story boards. I offer the player single ship control, multiple ship control, squadron control, and even fleet control. In addition you can take part as an RPC in the action. You can explore and quest and trade and adventure or fight and board your chosen enemy at sea. Also, remember that even though we will advertize and focus on the Golden Age, we will offer a scenario list as part of the game in separate modules with dozens/maybe even hundreds of famous battles that can be replayed with the player choosing which ever side he/she prefers. These scenarios will be a powerful educational and teaching aid which we can market to both schools and militaries/navies. This part of the game will encompass all eras which saw battles using wooden ships. We can play the Battle of Salamis Bay in 480BC or the Battle of Sluys in 1340AD – the Battle of Lepanto in 1571 or Trafalgar in 1805 – and any time in between where significant historical battles at sea occurred. I can play large actions like the Four Days Battle of 1666 or small fights like Bartholomew Roberts last action with the Royal Fortune and Ranger against the HMS Swallow. There will be pirate scenarios as well. We can sack Vera Cruz as De Graff or his other compatriots, or retake Tortuga as the Brethren of the Coast, or raid Panama as Henry Morgan. It will all be here. The cut off will be after the Napoleonic Wars. Hence – Age of Sail Battle Simulation. OUR game design will set the standard for the entire industry to follow and everyone will be attempting to catch up. I am so serious about how the dominoes have fallen here and think we could have the best game ever – that I am re-writing the proposal, several of the story boards and even the conceptual GUI interface art I showed to you, in order to illustrate a lot of new ideas I’ve had. Even if I can’t talk you into rejoining me on this, I plan to launch my own kick-starter in less than a years time that will illustrate my proposal in breathtaking art work. So there it is. Could you have a more dedicated and more knowledgeable program manager and developer than me? Just take a look at my website here. I look forward to your replies. And now – Sales Pitch over. For everyone else, thanks so much for your continued interest here. We have twelve more members since last week. Our visits are still increasing, but the number of downloads has gone down. We are now only getting 2 to 3 downloads a day. I plan on calling my host tech support tomorrow. That certificate problem I know some of you are seeing has nothing to do with the safety of this site. It has to do with one of the fonts I chose for the big Buccaneer’s Reef logo at the top of our page. Silly and annoying I know. It will be fixed. Also look for a lot of new stuff to go up in the next couple days since I will be at this location for several months. Keep a weather eye on that horizon Mateys! Wow it’s February already. I cannot believe how fast time goes by these days…at least for me. So in our first month online our little site has had just under 6000 visits and we are averaging about 150 visits a day now. Sometimes it will spike higher. I don’t know why. The ERAS2 mod has now had over 600 downloads. We are averaging 5 to 6 downloads a day now. We now have 36 registered users which is 12 more folks since my last update a week ago. So just want to say Welcome! I also want to remind those reading that initially, the upcoming patches will only be available to members (a major benefit of membership). I am especially glad to see my old friend Craiggo here among us now. He was a key modder behind the CMV and GOF mods and we have worked a lot together on stuff in the past. Craig is more into the later ERA and to those others that may be also (are just big fans of COAS mods no matter when they are set) I want to say for everyone, that I have never stopped working on GOF ERAs3 (1777-1820) as a back-burner project. Its not ready to release yet and I would say its about 65 percent done. It has a completely different feel to it with totally different weapons (much larger variety of sabers), and totally different historical characters – not to mention ships. I changed the pirate faction to Americans in this version. I have not implemented my flag mod for it yet, but you can imagine US ships with “Don’t Tread on Me” Rattlesnake flags, etc… Some of you may have seen some of the pics I posted in the past of late era frigates battling it out flying the early US flag with the 13 circled stars and the British Ensign. The three major things hampering my finishing of ERAs MOD3 right now are: 1) there is so much more I am still working on for ERAS MOD2. 2) I have not been able to completely get colonies changed to different nationalities yet. I am close (some of you might remember the Youtube vid I posted with Belize English. However the soldiers killed the poor beggar and tried to kill the immortal Spanish governor. So I still have work to do on changing certain key characters within towns to the intended nationality. 3) Since there were no pirates in this time I am trying to add a new faction and change the existing Gentlemen of Luck faction over to smugglers and/or random privateers. They will probably be British. The ships are already done – all late era only with correct flags. Anyway enough on that, but I am not against a group forming to work on Mod3 in the future. 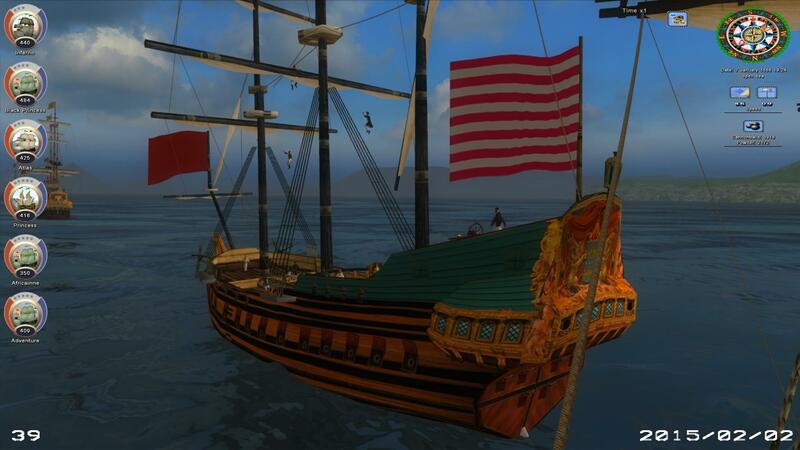 We can work on more than one mod at a time and although this site focuses on the Golden Age, I want members to be able to work on and focus on the aspects of Age of Sail gaming that they enjoy the most. When I am satisfied MOD3 is ready enough as a playable Alpha or working Beta, I will release it to members only that wish to help with it/test it. Haven’t been able to post much on the site this last week because I am on the move. All I can say is that nothing has gone as I planned (story of my life) and I have had numerous disappointments. I did not get to see the movie as I had hoped. I did find some new versions of the trailer with English subtitles. I plan to update that post with all the new info I’ve dug up, so have a look. On top of everything else I have been under the weather. So I have been mostly inside trying to sleep. During my waking times when I haven’t been busy with my obligations I have been working on a few things for the upcoming patch for GOF ERAs2. I am still really working on the new locations and character index files. On the new locations I found a new island I didn’t know about before in POTEHO. It is called San Andreas. I was very surprised. Evidently its a quest island that has to be located using clues and is part of some new pearl diver’s quest. The good news is that I have all of the files for this island as far as models, textures, and locators are concerned. The bad news is that without the program folder in this game there are no locations_init files so I have no coordinates for this island to make it show up where it should. However, I noticed that Marie Galante from AOP1 us Identical to the big island nudged up against Guadeloupe. So I can replace it with this island for variety. However I will want to give it a new name(undecided – still researching based on where its gonna appear). I skinned a couple more pics and am working on a new ship project as well that I am hoping Craiggo helps me with. Here’s some pics below. Be sure to take a look at the “What I’m working on topic because I will talk more about what I’ve been doing and post some additional pics there. Talk to you soon! Well another week gone. Great week too BTW! I got a lot done. So the site is doing really well. We have now had almost 5000 visits since we started up. I think that’s pretty darn good for my tiny little niche interest site. We are up to 24 members, so we’ve doubled in membership in just a week. Still not a lot of feedback but what we are getting is really good and we even have people working on mods. WOW! I never thought this train would start moving so quickly in such a short time. I am really excited about this and want to thank all of you for your interest. So make sure to look at the forum topic “What I’m working on” to see what I’m up to. I sure wish I had a couple other folks that knew there way around this game to help me out. I am always making good progress but if there were others we would really go fast. The thing I am most excited about is all the new locations and that I almost have the code broken on how to get them all in place. Just imagine in six months from now COAS with double the islands and locations that we enjoy now. That will just be so cool! Hope you are enjoying the topics I’ve been putting up. I have posted more to the Story of the Week because no one is reading it. What is frustrating though is that people are still reading them on PA!. So they get to the end and it just stops and they don’t know where to go to continue and pick it back up again. I have half a mind to make up a fake membership to post the information on where they can keep reading the Piet Heyn story. Speaking of fake members….I was told to make up some members by a colleague that read an article about getting forums going. I just refuse to do that. However some of our members have pointed out to me that PA! does this all the time. All I can say is that we are not PA! I think that once I have the forums done that we will gain more interest and more dialogue. I think a big reason for this is that I am attempting to have content that is about movies and books and the history of the Golden Age – NOT just video game discussions. The forums should be ready to open up in a couple more weeks or more. The only reason I say this is that I have a lot of professional commitments for the next two weeks and will not be around here much. I have stories and articles all ready to go up so that I won’t have to do anything but quickly publish them while I’m on the road. So you will still see new content, but not to the degree I would like. When we really get cooking I plan to have new stuff rolling up all the time. The classic movie section is almost ready to go up and may be published by tomorrow. We will see. I am especially excited right now because I will be in the Netherlands this coming week and am hoping to go see the new movie I posted about in Today’s Features – Michiel de Ruyter. I don’t care if I don’t understand the language. I want to live the experience. I have Dutch friends that will go with me so we can discuss it after. There is a version with English subtitles. I found the video clips of it already so its very apparent that the video should be released in the US this year, even if there isn’t a wide release of the movie at theaters. I also found some Dutch newspaper clips with photos about the filming. Particularly interesting were pictures of the Funeral procession scene, so they must plan to take this movie right up to DeRuyter’s death at the Battle of Agosta fighting the French. I am so curious to see how they plan to fit so much into one movie. Anyhow I want to thank everyone for the positive e-mails and for visiting the site. We are just barely getting started. Just starting to get our pace and our wind – and what a great first month online already! So another week gone by. I’ve been really busy this week taking care of private business and getting ready for some professional commitments. I am heading to Europe in a couple of weeks and then Africa. I’m hoping to get some good pictures and maybe an article or two for the site here. I have had a little time to work on stuff and will add a topic to the GOF ERAs forum on “What I’m working on”. I am also posting some new screenshots tonight both to our topic on screenshots and to my FLICKR account. So I added a few more ships I got from a friend and re-skinned some more as well. Seems I am always thinking of something new to put in the mod. I also think I may have had a couple breakthroughs on the last few bugs in the mod (namely the treasure quest bug where you have to face another nationalities ships holed up in some random cove – almost constant crashes in that event). Having said all this I have to say I am having mixed feelings about our website here. I am happy about the amount of traffic we are getting. We are averaging a hundred to several hundred visits a day for the last week even though I haven’t even put anything up here. However, we still only have 12 members and only two of us are commenting. I’ve talked to a few of my beta testers and they say they are gonna get involved but are just really busy at the moment. I eagerly await their participation. I know I haven’t got the site finished and still have dozens of topics to build in the forums, but we are about 65 to 75 percent complete. I also have to say with all the things I’ve put in the game this last week, (6 new ships, 16 new items, several fixes, and a couple of new characters) I’ve almost got enough stuff together for a patch. I just wanna finish up the rest of the characters I’m working on and the character index before I release this. However, having said that I am reticent to release a patch at this time for a couple reasons. The mod has been downloaded over 500 times now in a little over two weeks of being available. The number of downloads has gone down drastically in the last few days with only a handful per day. So I am assuming that hundreds of people are playing but only one person has commented on his experiences. How disappointing. Also not getting any feedback makes me think that mod may be NO GOOD. Yeah, I love it and I know my beta testers love it, but that is a small group and half of those guys are my family and friends. So most of you might actually really hate it. If that’s the case then I would like to know. I would also like to know if I should keep going with this site and with this mod, or if you don’t really care one way or another. If the later is the case I will go back to doing this all privately for myself and my family/friends, knowing that I kept my promise and got a damn stable and playable version of my mod out to you all, with the majority of my developmental work contained within. I am happy with that. Now let me also comment that I know I may have alienated some of my own fans and audience with my emotional outbursts last week. I need you to consider a few things if that is the case. 1) I am not some modern PC kid that only says nice things on the net. I wasn’t raised in this current culture. I was raised on hard work in a country area working on farms and doing hard labor. I was raised by a navy man who was a disciplinarian. I was raised to say what I think. I spent 24 years in the Army and started at the bottom as a private and came out the top as a Colonel. I was told I woulda gone even higher but I just couldn’t handle the corrupt PC bullcrap of DC anymore. As a high ranking individual I was accustomed to having my voice heard and getting my way often. Add to this that I am on the autism spectrum and you should consider neuro-diversity here. What those guys did to me was understandable as I was angry and leaving anyway, but the way they went about it……deleting only certain items and keeping others up when I had asked them to take it all down – was just wrong. Also they referred to my contributions as “dead-wood”….OUCH! So I left with a very bad taste in my mouth and with the view that whole group of em were a pack of mean, rude, uncaring, and un-knowledgeable knuckle dragging dregs. I had asked for one day back on the site so that I could retrieve my personal PMs and contacts, but they wouldn’t allow it. That made the hurt all the worse. To add to this turmoil I was crushed when folks I considered friends for a long time, decided not to go through with financial backing and support for the age of sail game that I was beginning development on. So I have fallen back on the creative side this year and done a lot of hiking and skiing and sailing to get my head on right. I’ve turned down every job offer except speaking engagements and short advisory gigs. All this to say that the continuation of my modding and the building of this site have been an attempt at healing my own wounds. We shall see where it goes from here. I did not intend to react the way I did with that last post but the comments of those people briefly rekindled the anger that I had slowly extinguished over the course of many months. I am sorry if I have offended anyone and for my more youthful and sensitive readership I will really try from here on out to be less….”Flame-ey” is that a word? I promise. I have three kids and people love me in person. I am a nice guy and you shouldn’t be afraid of me on this site. I won’t bite I promise. So please join up here and lets get some historical and piratey multi-media discussions going. Well Buccaneer’s Reef has been up for one week. While I have a lot of work to do yet to get all of the Forums off yellow legal pads and saved pages on my desktop, it is coming along very well. I pushed myself hard to get the website at least up and functional so that I could share the newest version of the GOF ERAs Mod2 with you all by Christmas. While I didn’t make the deadline because of publishing and upload problems, I finally managed to get it all together and give you all a late Christmas present. I have to thank you all for making the site so popular in its first week (its infancy really). I have looked at a lot of pirate and historically themed websites over the years and usually there isn’t much traffic there. Some that I visit regularly will have 2 or 3 visitors a day. I didn’t expect anything more than that with my own site and that’s why I was absolutely shocked when the numbers started pouring in. I am stunned actually. In our first week online we have had well over 2000 visits. I knew things were going well when WordPress sent me a message saying that I had got 457 visits in one day the other day. WOW! I knew people wanted the mod but I’m just floored – over 300 downloads in the first week up. So I stand in awe and feel a duty to ensure that I get this thing up and running as I intend to keep up the interest and momentum. In the next day or so, expect to see new photos, videos, articles and stories. The next chapter of the Piet Heyn saga is getting one more little edit before I post it (probably this evening). So I am flattered and want to say Thank You to everyone that’s visiting. On the downside one of our members posted an invite over at Pirates Ahoy! talking about where they could get the mod now. I want to state up front that I did not ask him to do this and with our bad blood I had no intention of trying to promote our site there. He did this because of his enthusiasm for the mod and because he wanted their members to know. Good for him….however, their reaction to his post was shall we say – less than civil. I have posted below my rebuttal to the comments they posted today. The inference is that we are not a safe website. That being said…I would like to cite Biblical scripture – “Pull the plank out of your own eye before criticizing the sliver in your neighbors eye.” I would like you to notice the little prefix in the upper left corner of your site address bar. It says “https” meaning that we are a secure site. Not http as Pirates Ahoy! is. The simple fact is that Buccaneer’s Reef is a far more safe place to surf than Pirates Ahoy! truth be told. Our site is both certified – supplying identity information of ownership, SSL certificates and Sitelock verification. I have the best antispam and phishing protection and identity protection available online – both for my protection and my members and visitors. In short the protection here is FAR FAR better then Pirates Ahoy! Thanks again folks! Below is the rebuttal if you’d like to hear my side of the story. They have accused me of hacking them in the past and I will publicly state for the record that those accusations are absolutely baseless. I challenge them to produce one iota of evidence that they were ever attacked by me. I would also challenge them to produce any credible reason for making the statement above. I assure all users here that Buccaneer’s Reef is a safe and certified site. Yes I am a retired military officer with an extensive IT background and knowledge, but I have no current ties to any government organization of any kind. I am a free-lance Defense and Tech consultant that does this as a hobby and have no interest whatsoever in hacking anyone OR collecting any data from anyone or giving out viruses. I assure you that Buccaneer’s Reef is quite safe and that we don’t have “the cootees”. This is ridiculous. His accusations annoy me and are mere conjecture. Our views daily continue to increase and I pledge that I will continue to add the best content available with regards to our shared passion and hobby which is defined on our homepage statement. If anything his statement shows xenophobic paranoia that PA! is a dying and atrophied edifice that has seen better days and because of their failure to serve or honor the desires and needs of their former membership, will continue to decline as WE here at Buccaneer’s Reef will only increase. In short he sees us as a threat. I offered cooperation before leaving PA! and even suggested that we could be “sister sites”, however the above statement clearly shows where they stand. Can you make the big “L” symbol on your forehead Thagarr? 1.) Pieter Boelen is the single most responsible person for failing to transition (preventing the transition of) primary modding efforts over to AOP2:COAS on PA!. If you take a deep look at the PA! forums you will find dozens of discussions and dozens and dozens of small comments since 2008 about the intent and assumptions of numerous members (including himself) to transition primary modding over to the better and newer AOP2. 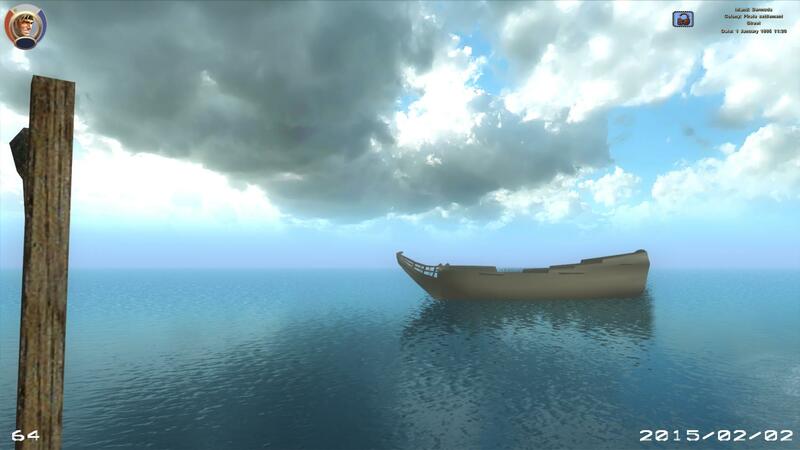 However, Boelen continued to push modding the POTC Builds long after most people had grown tired of them and the VAST majority of interest had moved over to the GOF mods. 2.) At one point when the builds had almost no interest, support or contributions from anyone but himself, he made multiple statements that he was going to leave the forums. He has constantly said for years that he doesn’t have time to play games or read posts or look at videos, but he has plenty of time to waste hanging about the PA! forums. It was only after the sudden interest in the new HOO effort started new members coming into PA! that he decided to stick around, because he would have very little to do with the AOP games or mods even though they were quite popular at the time. 3.) He has constantly in a very subtle passive aggressive way belittled the AOP games and mods for years in his comments. In fact just the other day he did it again by saying that the GOF mods were NOT “heavily modded” like POTC was. How does he even know? He’s never even played it. Lets face it, his decade long dedication to modding the Build mods and being its primary developer/coordinator, have made him completely and utterly biased towards it in every way shape and form – so badly in fact that nothing he says with regard to his opinion of the AOP games or mods, OR his “support” of them – can be taken seriously. The aforementioned, coupled with PA!’s unethical treatment of myself drove all remaining interested COAS modders and modelers/contributors away from PA! and they have never come back. Their deletion of Kris Wood’s Zeven Provincien model work from the Storm modeling Forum was an outrage to other modelers and drove them underground. Kris has never finished the model because of that unpleasantness and the crying shame is that it was almost done. I have saved that entire thread and will be recreating it and posting it here on our Forums. 4.) Once again they vilify me and act as if I am the bad guy here. The fact is that those forum rules and warnings they talk about were never even present until after they banned me. I openly and defiantly challenge them to produce or display PROOF that they warned me openly or by PM. I have saved all PMs of dialogue with them and there are NO warnings. The fact is that they were all giving me “best wishes” on my future endeavors. I tell anyone that cares, that they DID NOT WARN me. Not even once. And they know they cannot produce proof of this. So who are the REAL LIARs here??? 5.) The banning only happened after I began deleting my articles and content from their site and I personally believe that their stated reason for banning me – for calling the moderator that was deleting my completely innocuous posts – “a little Hitler nutjob” (when will someone limit this little Hitler nutjobs power here), is not the real reason. Anyone that has been around forums for any length of time knows that this is a very mild comment. So I still believe the real reason my banning occurred was because I was removing my content from their site. After my banning I asked them to remove my content. They deleted some posts within threads that made them look bad covering their tracks and they deleted other posts and threads that showed really great content which reflected my professional background (like the simulated gunnery thread and historical paintings threads) however most of my content stayed up – stories and articles and such – which even now get them hundreds of looks a week. So now I ask you….who’s the liar here? 6.) I openly posted the complete private correspondence between Pieter Boelen and myself on MODDB online for a couple of weeks after everything occurred so that people could see the truth. He complained to MODDB and one of their moderators complained about it to me. So I came to an agreement with MODDB that I could leave it up if I simply removed Boelen’s name from the posts and replaced it with “PA! main admin”. So why would he be so self conscious about this if he were in the right and had conducted himself with integrity? I didn’t want to bother reposting it because I was already so sick of everything and hundreds of people had already read the posts. However, at this point in time I will comment that if this kind of slander continues I will be glad to put up a subforum here that openly SHOWS FOR EVERYONE all the private correspondence between both Boelen and Thagarr and myself. I have no problem doing that because I have NO dirty laundry to hide. I wonder how they would like that if I did? 7.) The simple facts here are that I was the one wronged and lied to and they are the individuals with the integrity and honesty issues who did not follow their own rules and lie about it by saying they did when they can produce no proof whatsoever. Boelen keeps pointing to that thread/post on my old Mod page which does nothing to explain anything. If anything it only bolsters my own defense. It does nothing to prove their allegations that I was being disruptive “All over the forums” or to show I was warned in anyway. In short they have no evidence of the things they are saying and so they have to lie about it. Because of this they call me the liar. I’m not the one “spreading lies”. So I put it to you. Who do you trust now that you’ve read the above? Last, None of this even had to be said at all if they had been civil to our member’s post. They say that they wanted to leave the past in the past, but they were the ones that dredged it up. Thagarr tried to play the whole thing off – that he would give that advice to members about any site “they were unfamiliar with”….REALLY??? Well then I will expect to see him post warnings to members to update their spyware and firewalls on all future links that he posts to the site in the future then. Who’s the REAL liars here???? As a postscript, King Boelen the Censor, closed the thread and threatened anyone with the forum rules again. What’s funny is that he said that he would invoke action in accordance with the Forum rules on anyone that might continue the discussion privately or publicly. WOW! This tells me that 1) he may be monitoring peoples private conversations on the forums. OR 2) others have brought up this topic to him privately in the past and he doesn’t want to talk about it – and will ban anyone that talks to him about it. So Kim Jong Boelen will not allow an open and free dialogue on PA! of topics that are unsavory to him or may cast him in a bad light. I had called Post Captain a little Hitler nutjob in the post that they say got me banned, however it looks as if Pieter the Perfect may actually be an even greater internet despot. ALL HAIL CHANCELLOR BOELEN!!! Sieg HEIL! Sieg HEIL!